Titimangsa Foundation and Dia.Lo.Gue supported by Bakti Budaya Djarum Foundation, present: “NAMAKU PRAM” Catatan & Arsip. Behind tetralogy and sheets of manuscripts about Indonesian people, there is a side of Pramoedya Ananta Toer, unknown to many. 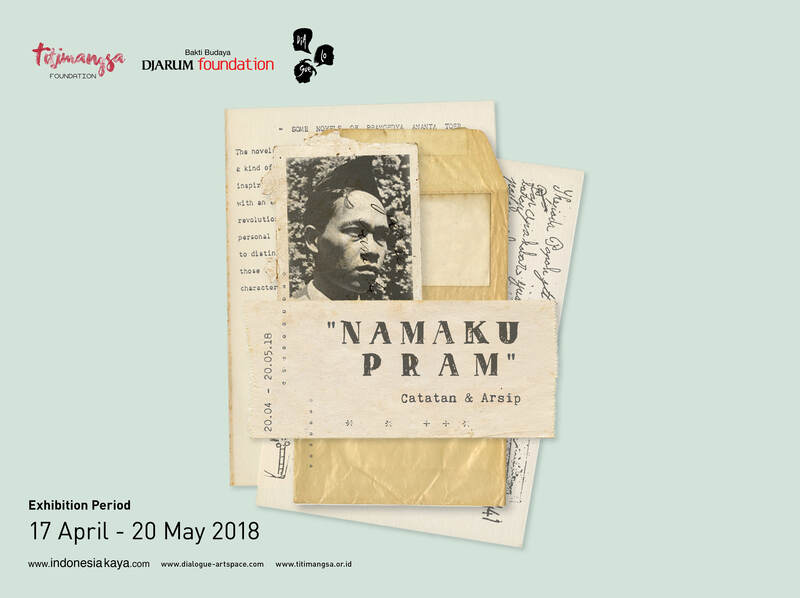 Through archive of notes, pictures and scrapbooks of news, this exhibition tries to take a closer look at the life of Pram, the Notetaker of Indonesia.